The Ba'al Shem Tov is an elusive subject for historians because documentary evidence about his life is scanty and equivocal. Until now, much of what was known about him was based on stories compiled more than a generation after his death, many of which serve more to mythologize him than to describe him. The portrait Moshe Rosman provides is drawn from life instead of from myth. Based on innovative critical analysis of familiar and previously unexplored archival sources, and concentrating on accounts that can be attributed to the Besht or to contemporary eyewitnesses, this book goes further than any previous work in uncovering the historical Ba'al Shem Tov. Additionally, documents in Polish and Hebrew discovered by Professor Rosman during his research for the book enable him to give the first detailed description of the cultural, social, economic, and political context of the Besht's life. Founder of Hasidism supplies the history behind the legend. It presents the best, most convincing description that can be drawn from the existing documentary evidence, changing our understanding of the Besht and with it the master-narrative of hasidism. 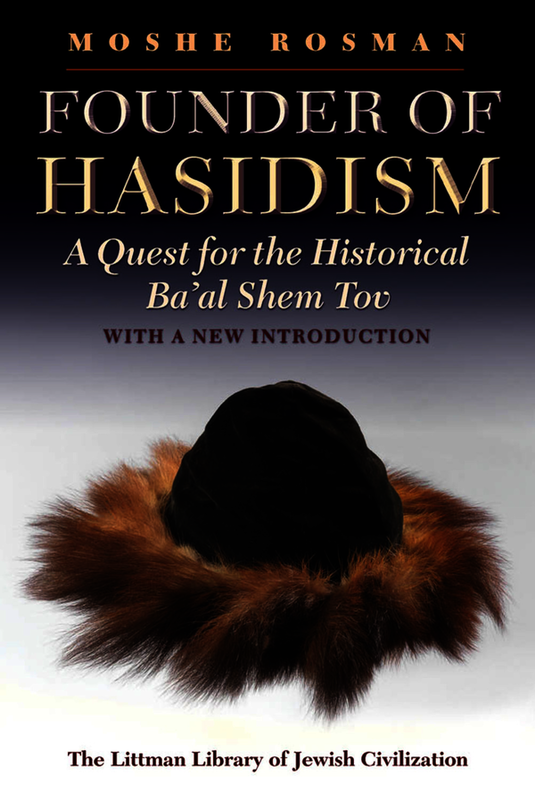 A substantial new introduction considers what has changed in the study of Hasidism since the influential first edition was published, these changes being in part due to the effect of the book. New approaches, new sources, and new interpretations have been introduced, and these are reviewed and critically assessed. Criticisms of the original edition are answered and key issues reconsidered, including the authenticity of the various versions of the Holy Epistle; the ways in which Jacob Joseph of Polonne's books can be utilized as historical sources; and the relationship to history of the stories about the Ba'al Shem Tov in the hagiographical collection Shivhei Ha-Besht. Moshe Rosman is Professor of Jewish History at Bar-Ilan University in Israel. He has been a Fulbright-IREX fellow, a fellow of the Hebrew University's Institute for Advanced Studies and the University of Pennsylvania's Katz Center for Advanced Judaic Studies, winner of the National Jewish Book Award (1996, 2009), the Zalman Shazar Prize (2000), the Jerzy Milewski Award (2000), and the Jordan Schnitzer Award (2010), and visiting professor at Yale and other universities. His books include The Lords' Jews: Jews and Magnates in the Polish-Lithuanian Commonwealth. He is one of the principal authors of A New History of Hasidism. 3. A Country in Decline?